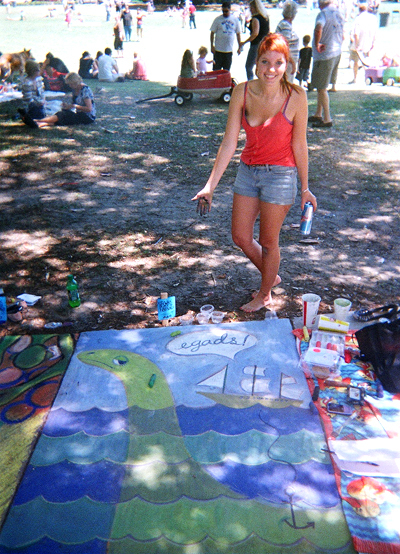 so, i entered SCAD‘s sidewalk arts festival this past saturday. it’s one of my favorite events thats SCAD puts on; i’ve been partaking in it for the past 4 years. undergrads, grads, alumni, and prospective students are allowed to participate. we basically get a box of sidewalk chalk and 3 hours to art our hearts out. and here i am with my square. about 45 minutes before the event, i decided to draw scotland’s very own infamous sea monster.